This class fulfills 3 credits of the Gen. Ed. Science requirement. FINAL IS TAKEN IN OUR REGUALR CLASSROOM LUPTON 250. Farmingdale has partnered with RAVE Mobile Safety to facilitate emergency message delivery. Weather and other campus-wide cancellations will be listed on https://www.farmingdale.edu/ You can also sign up for RAVE and SUNY Alert. Go to the Rave web page and use your Farmingdale user ID and password to enter the site. For SUNY-Alert, please visit the University Police web page. IF class will be cancelled (just this class not campus wide).... I will try and email the class or a note will be posted on the door. 15 minute rule - Please Wait 15 minutes at the start of the Class for the Professor, after 15 minutes If the Professor is not in class, feel free to leave. Please Note - Chapter 4 and Test 2 is very hard -- Please put in some extra time and energy. For chapter 3 and 4 you have to use Basic Math Skills with NO Calculators. If you have a disability for which you are or may be requesting an accommodation, you are encouraged to contact both your instructor and the Disability Services Center, Roosevelt Hall, Room 151, or call 631-420-2411, or 420–2607 as soon as possible this semester. Because intellectual honesty is a cornerstone of all academic and scholarly work, each member of the Farmingdale State College campus community is expected to maintain academic integrity. Farmingdale State College has developed regulations concerning academic dishonesty and integrity to protect all students and to maintain an ethical academic environment. For more information, click the updated link for the Academic Integrity Policy. It is important for you to understand the concept of plagiarism. Plagiarism is intentionally representing the words, images or ideas of another as one’s own in any academic exercise. This includes words, images or ideas in either print or electronic format. Cheating on an exam will result in a grade of F - ZERO for the test. No electronic devices are needed for the class. You will need to know how to understand basic math skills - adding, subracting, multiplying and dividing. If you need help with these skills we can get you a tutor. The President of the College and the Vice President for Student Affairs recognize the rights of designees including University Police, to enforce all regulations, policies, license agreements, laws and codes on campus. If any individual allegedly violates the laws, Student Code of Conduct or campus policies, a President’s designee will institute proceedings against the offender (s). For more information on the student code of conduct, see the Code of Conduct section in the current Student Handbook, or choose Code of Conduct from the A-Z Links. You must have a farmingdale email and You must check it often. If you don't know how to check it or use it please let me know. To give you basic knowledge about our world around us. Understanding weatehr basics of temperatures, clouds and weather systems. Why will it rain or why will it be sunny. 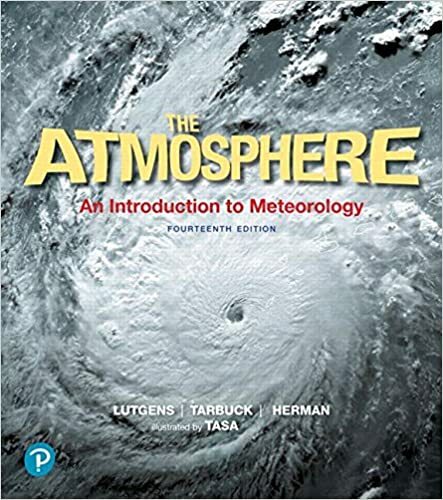 Catalog Course Description: Course outline: A descriptive course in elementary meteorology that will introduce students to weather analysis and forecasting. Topics covered will be Temperature, Pressure, Wind, Radiation, Clouds, Precipitation, Synoptic Weather Charts, Air Masses, Low and High Pressure Areas, Frontal Systems, Thunderstorms, Weather Forecasting and Local weather. Homework: Homework questions will be assigned from each chapter. They will not always be collected. The student, who does homework ( read text book ) on a regular basis, usually does well in the course. Grades: Your grade in the course will be determined by your test scores, homework and classroom participation. Attendance: Attendance for classes is mandatory. Everything that will be on the exam will be covered in class. If you miss a lot of classes you will not do well in this class. If you are going to miss class or any questions please Email me. If you are unable to attend class on certain days due to religious beliefs, please consult with your instructor well in advance of the absence so that appropriate accommodation can be made. General Thoughts: Meteorology can be fun and exciting. It is what you want to make of it. I have made a career out of it and I am looking to pass some of my knowledge onto you. Weather affects everyone whether it's a snowstorm in the winter or a thunderstorm in the summer. Trying to figure out Mother Nature is a daunting task and this class is just the beginning in understanding the atmosphere in which we live. I am here for students if they have any questions. If you don't understand a subject please ask. If you don't understand, the odds are there is someone else who is confused as well. With my experience in Meteorology, I am able to put a twist on the subject matter. I will also be able to give you some insight about television meteorology. I have been working in Meteorology for more than 20 years, including several television stations in the Northeast. I have been at News12 Long Island since September 2002. You can check out my website; www.richhoffman.net. I am also open to suggestions, if there is certain topic you would like me to cover please ask.